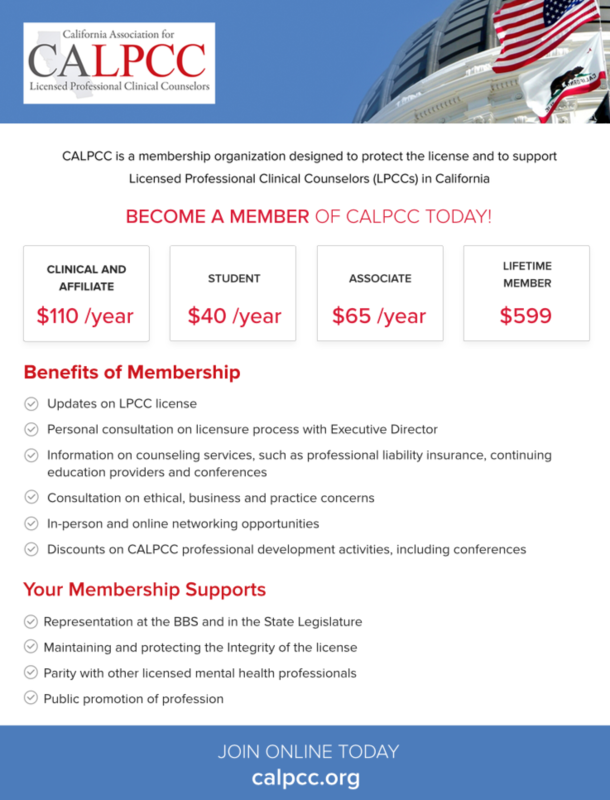 Information on counseling services such as liability insurance, continuing education providers and conferences. You are enrolled in a graduate counseling program and you do not hold a master’s degree in a mental health field. You are registered, or are in the process of registering, as an intern with the California Board of Behavioral Sciences.